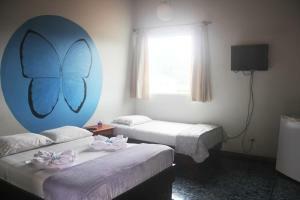 ﻿ Best Price on Hotel Casa Aura in Cartago + Reviews! Set in Cartago, within 3.7 mi of Jardin Botanico Lankester and 16 mi of Irazú Volcano, Hotel Casa Aura features accommodations with a garden and free WiFi. Located around 1.2 mi from Basilica of Our Lady of the Angels, the hotel is also 8.1 mi away from Prusia Forest. The accommodations offers a 24-hour front desk. Each room is fitted with a flat-screen TV, and some rooms come with a garden view. 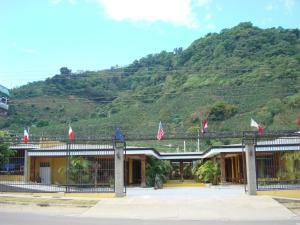 Principal Costa Rica's airport is Juan Santamaría International Airport, 28 mi from the property.